Bring the world of anime to your car with these new Itasha anime-themed Spots Cars. Itasha, which literally means “painful car”, are Japanese sports cars which have remained as a relative no name nationwide. 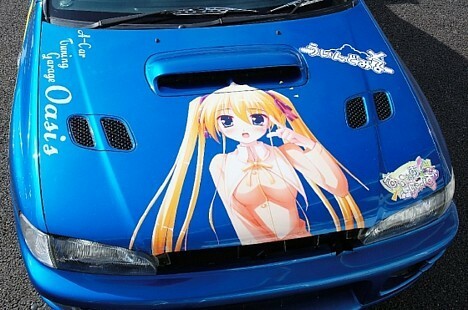 These anime cars are sure to get some notice around the geek community. 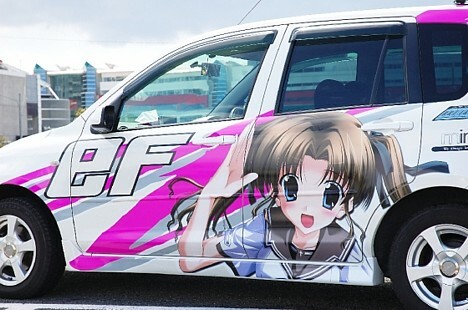 Itasha cars are known for their decals and paint jobs featuring anime, game, and manga characters. 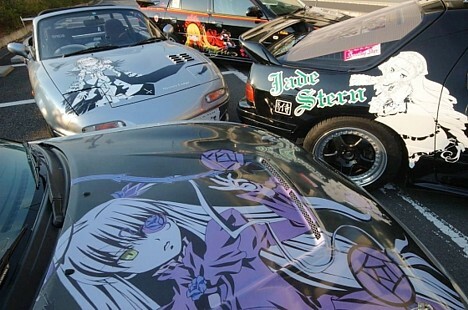 These cars are featured in Itasha Road 2007, a book-sized magazine depicting the best in Itasha for the year. Hey, it’s not our cup of tea, but we’re sure some of you will go mad over it. Although, we wouldn’t deny if we were given one as a hint to try out *ahem*. Yeah, never going to happen.